At Ontario Hearing Aid Centre, we are committed to providing you with an exceptional service & value experience. In fact, we guarantee that you won’t find better service and value anywhere in Mississauga & the GTA area. When you visit our clinic, you can expect to be treated by a professional consultant who passionately cares about one thing; helping you experience an improved quality of life through better hearing. Interview – The interview determines the nature of your hearing concerns & uncovers any specific areas that may require further attention. Examination – The examination determines whether the perception of hearing loss you are experiencing could be caused by an obstruction or damage to the ear canal or eardrum. Diagnostics – The diagnostic process determines the nature of your hearing loss. The diagnostic process may include different test, depending on the assessment of your needs. Solutions – Treatment solutions determine what type of hearing technology solution is most appropriate for your hearing difficulty, your test results, your desired listening lifestyle, and your cosmetic preference. It is our vision to provide the best in client, expert hearing instrument services of any hearing clinic in Canada. Our number one priority is to provide an unrivalled personalized experience, tailored to each client’s lifestyle and hearing health needs. We promise comprehensive, individualized attention and care. We value and promote continued professional education and development. We believe in providing client centred collaborative care through a seamless journey of understanding of each client’s needs. We recognize each client is unique. To maximize the communication abilities of each client served by the clinic. To provide all our services with empathy and compassion. To provide hearing instrument technology personalized for each client. To provide continuous support to each client, family member, community members, as well as involved physicians and paraprofessionals in maximizing the communication abilities of each client. To provide an enjoyable, fun and stable work environment for each team member. It is our mission to maintain or to improve the quality of life for each client through providing optimal hearing health care. We will do everything in our power to help you hear better. We believe better hearing is better living. Only 20% of all people with hearing loss actually wear hearing aids. This means 80% of all people with hearing loss do not wear hearing aids. Why 80% of all people do not wear hearing aids? Most people cannot afford hearing aids. I came to a realization that why am I in a industry that only 20% of people can afford? Right? 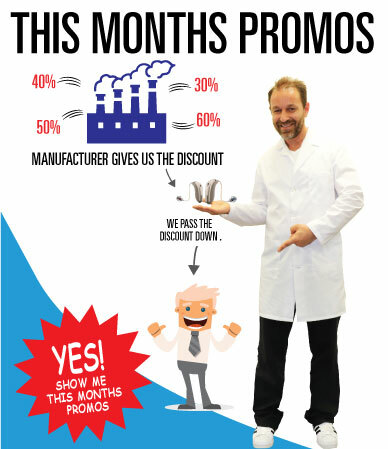 So it is our mission to extract maximum discounts from all manufacturers and pass the discount down to our clients saving our clients in some cases thousands of dollars. Our goal is to change the national statistic from 80% to 0%. To deliver, affordable hearing aids with passion, an exceptional client experience that meets their hearing and communication expectations, by providing superior products, best price guarantee, services, and value with care and integrity. Unrivalled Service & Value. Guaranteed! We endeavour to meet your every need and to help you to fully understand our products and service options. We guarantee your complete satisfaction and do everything in our power to ensure you are happy with the choices you make or your money is cheerfully refunded. So drop by today and let us create a service and value experience for you! Ontario Hearing Aid Centre’s mission is to improve your quality of life by optimizing communication ability. Our vision is to satisfy your unique hearing health care needs with speed, empathy and compassion. We want to provide an environment that encourages you to be actively involved in your audiological care and decision making process. We will do everything in our power to help you hear better. We believe that a large part of living life is hearing the sounds in it. Better hearing … Better living! Throughout our history, innovative technology, quality products and on-going personal care has been part of the Ontario Hearing Aid Centre experience. We’re proud of our lifetime commitment to our customers and their care. We’re here for you and can schedule an appointment and get started.